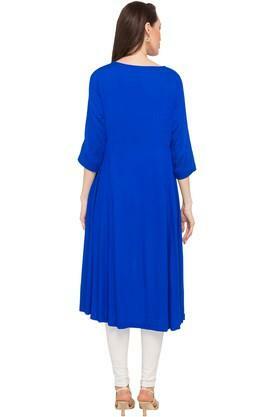 Flaunt the right amount of elegance, style and class with this flared kurta from Stop. Crafted from good quality, this kurta can be comfortably worn throughout the day. 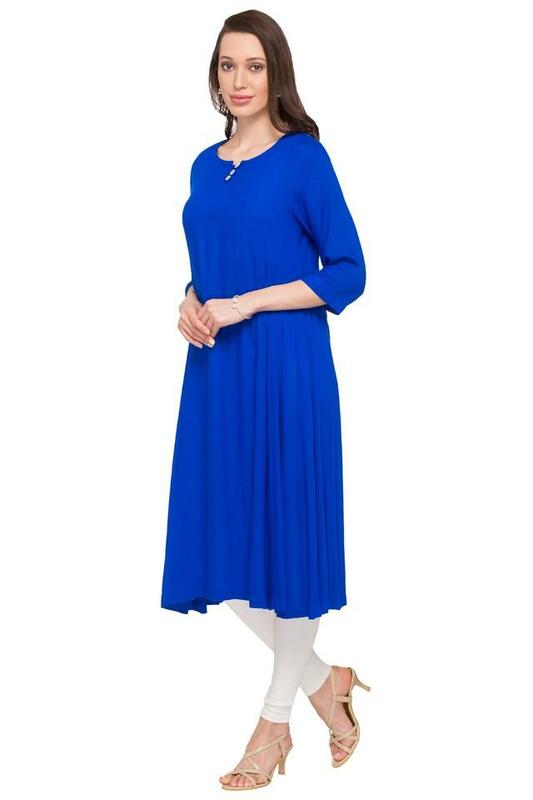 The solid pattern of this kurta makes it a must have in your wardrobe. Furthermore, it features a round neck and three quarter sleeves which looks attractive. 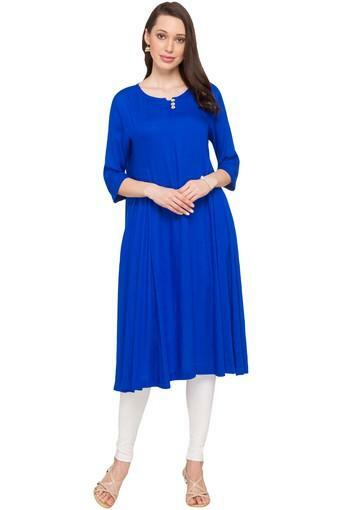 Be the showstopper of the event by wearing this remarkably designed flared kurta. Dress it up by pairing it with leggings and heels.